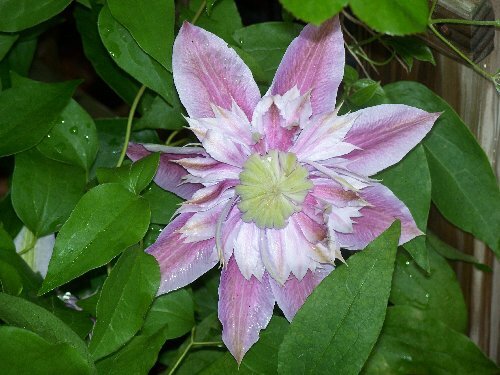 Josephine Clematis: fascinating double flowers. June and usually again in late summer or early fall. Josephine will show hints of pistachio in her petals in a cold spring.